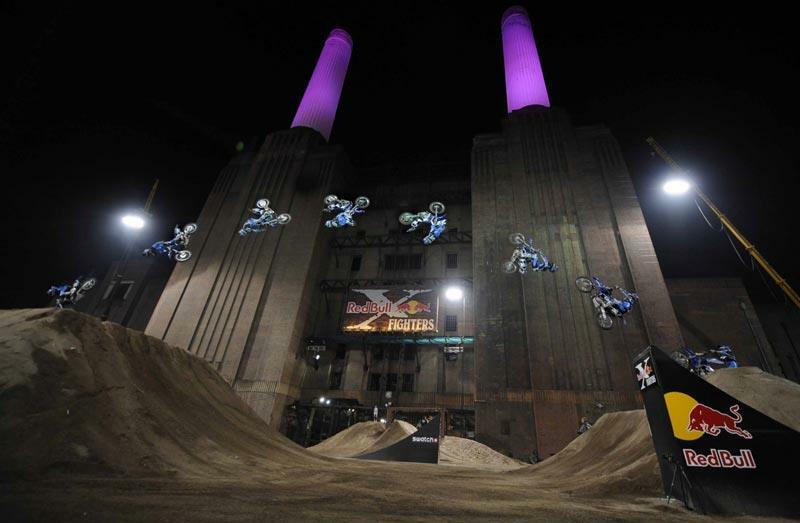 Freestyle motocross will light up Battersea Power Station in London once again with the return of the Red-Bull X-Fighters on Saturday 14th August. The world’s top 12 motocross riders will fight their way through qualification rounds to compete in the main event at the decommissioned power station. 2009’s World Champion Nate Adams will be defending his title, with competition coming from distance jumping specialist Robbie Maddison and current championship leader Andre Villa. Extra seats are available this year allowing for a capacity crowd of 28,000. Ticket prices are yet to be announced but the Spanish round costs between £54-73 for a two day pass or £32-46 for just the main event. The Red Bull X-Fighters are a third of the way through their world tour, having already competed in Egypt and Mexico. Australian Robbie Maddison will return to London after his successful jump over Tower Bridge last year. He said: “I want to win Red Bull X-Fighters, so I am working on a new trick this week, something special just for London”. Qualifying rounds will take place on Friday 13th August. More information is available at www.redbullxfighters.com where tickets will go on sale on the 14th June.